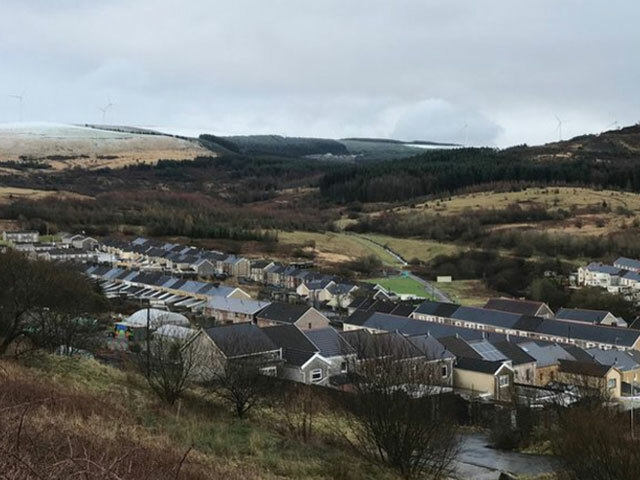 Caerau, near Maesteg is set to be at the cutting edge of the UK’s green energy revolution by using water that has filled underground mine workings as a geothermal source of energy. Underground water in the former Caerau colliery has been naturally heated by the earth, and Bridgend County Borough Council hopes to harness heat pump technology and a network of pipes to warm around 150 nearby homes. Cabinet Secretary for Energy, Planning and Rural Affairs, Lesley Griffiths, announced this week that the project has been awarded £6.5m in EU funds, and will be the first ever large scale mine-water energy scheme to be created in the UK..
Holland is currently leading the way in this technology. The world’s first mine-water power station was opened in 2008 in the town of Heerlen – at the heart of a Dutch coal-mining area that closed its last mine in the 1970s. “Our ambition is for our nation to be a world leader in pioneering low carbon energy. This is a cutting edge model of generating a clean source of renewable energy drawing on the legacy of our coal mining heritage. It will not only attract further investment to the area, but also addresses fuel poverty by cutting energy bills with the potential to be rolled out to Wales and beyond. Test drilling into the mine workings under the Old Brewers site in Caerau during the autumn found that the void is full of water at a depth of 230m, and the British Geological Survey have since been testing the temperature, chemistry and volume of water that is available. Their feasibility study won’t be completed until the end of February, but the early indications are very encouraging as the water has an average temperature of around 20.6 degrees celsius – warm enough for the scheme to be a success. Although the initial heat network will involve 150 properties as well as the nearby school and church, there is potential for the scheme to eventually warm up to a thousand local homes. An exhibition is planned for spring 2018 when findings from the feasibility study will be shared with Caerau residents and anyone else who is interested in the project. Construction work will begin in 2020 with the first homes being connected to the system in winter 2021. The scheme is a demonstrator project for the UK Government led Smart System and Heat Programme. The total project cost is estimated at approximately £9.4m, and match funding totalling £2.2m has already been secured through financial contributions and staff resources from UK Government, Welsh Government, Energy Systems Catapult and Bridgend County Borough Council. Discussions are ongoing regarding the additional £700k that is required, with the council targeting other potential sources of grant funding. The Caerau Mine-water Heat Project has a large number of stakeholders including the Welsh Government, UK Government, Wales European Funding Office, Cardiff University, BGS, Kensa, Egnida, SPECIFIC, Carreg Las, Energy Systems Catapult, Natural Resources Wales and The Coal Authority.